You’ve been training hard and now it is time for you to emerge in the swimming pool as a butterfly! Emerge from your cocoon in the Tornado Butterfly Love Swim Cap. This bright white look features rosy pink butterflies surrounded by a sparkling gold garden. With a modern and understated Tornado logo at the bottom in a cute cursive, this swim cap is easily one of the most beautiful looks that you will find out there. 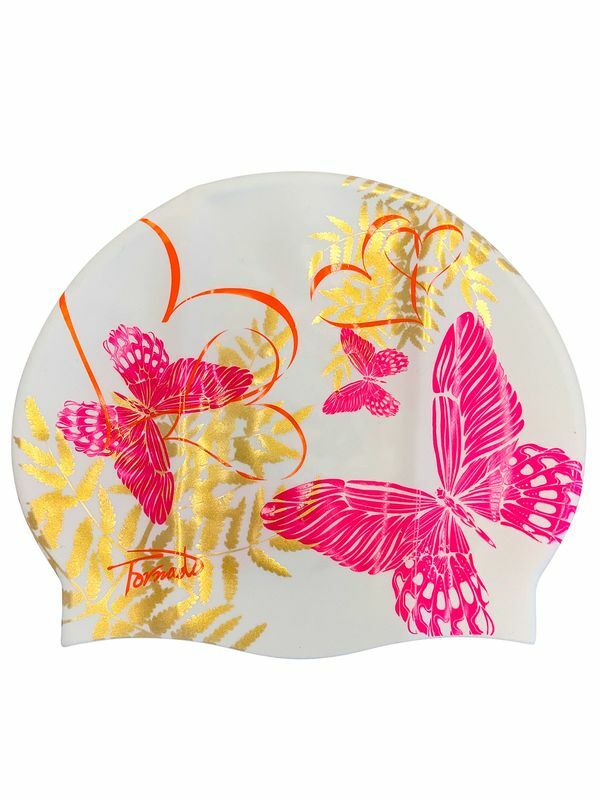 Like everything that our fave Korean swimwear company makes, the Tornado Butterfly Love Swim Cap was made to last!